Constructing Architectural Ecologies convenes designers, makers, researchers, and thinkers to explore architecture’s capacity for expanded ecological agency. The symposium will discuss how architects can engage with extra-disciplinary collaborators like scientists and manufacturers to forge new ways of addressing significant ecological challenges, especially with regard to the material logics by which buildings are produced. 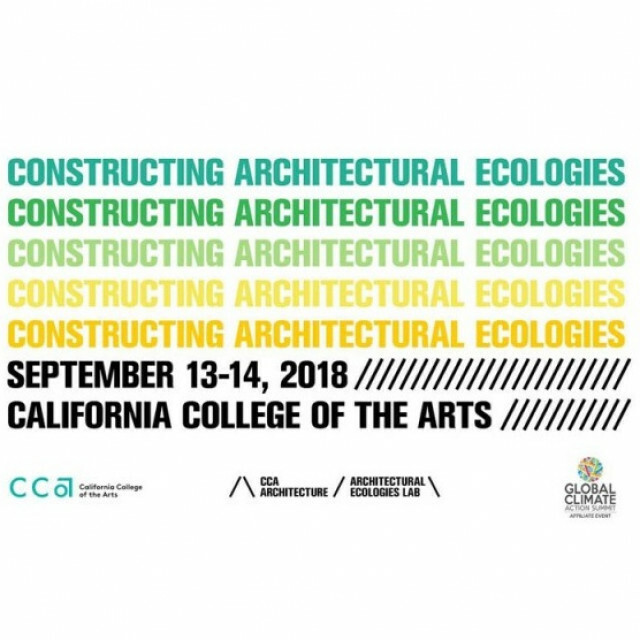 The event, planned as part of the Global Climate Action Summit (September 12-14 in San Francisco), is organized by the Architectural Ecologies Lab at California College of the Arts, and will take place at CCA’s campus in San Francisco’s Design District. The symposium will open on the evening of Thursday, September 13 with a keynote by Dr. Adrian Parr of the University of Texas at Arlington, followed the next morning by a series of panel presentations exploring the relationship between architectural technology and nature.